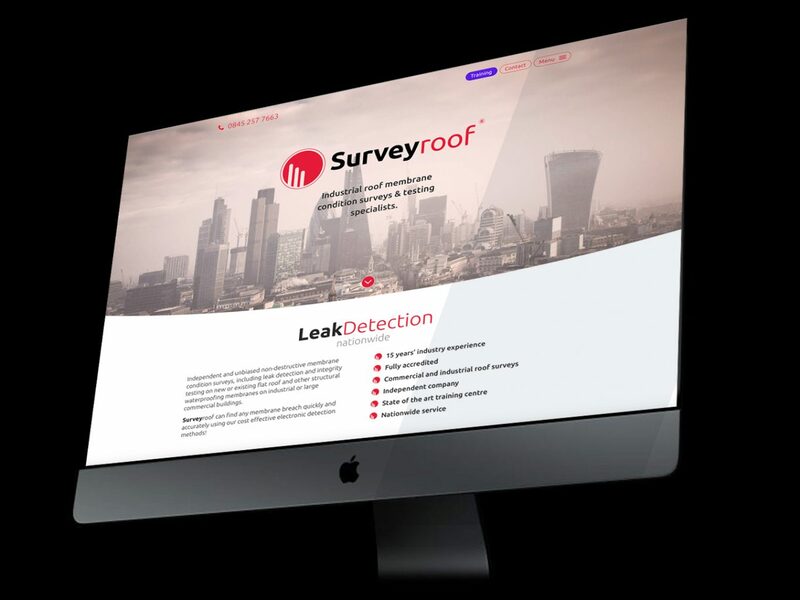 Surveyroof is a company based in Bolton who specialise in commercial leak detection services on flat roofs all over the country. 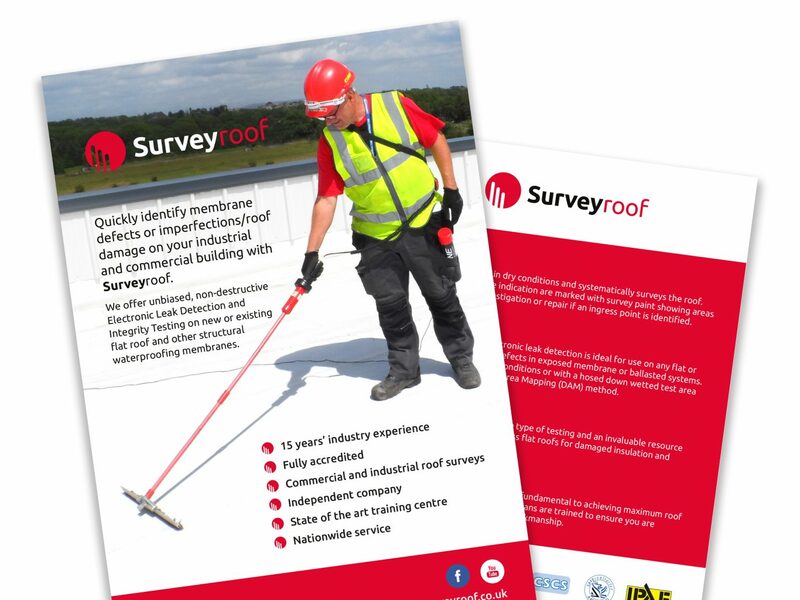 They work with prestigious brands, such as ASDA, Sainsburys and Toyota, and are planning to launch the Country’s first accredited roof survey training centre. Our initial brief was to design 3D graphics for their training courses, illustrating the various types of surfaces and membranes found on roofs. The client was delighted with our designs and this led to further discussions on marketing the business. The opportunity to re-design the website arose from these discussions and also to market Surveyroof’s services via a targeted PPC (Pay Per Click) campaign. Surveyroof were already running PPC but did not understand the returns they were getting due to measurements not being set. By implementing conversion tracking we were able to ascertain the cost of an enquiry showing them the value of their marketing and return on investment. 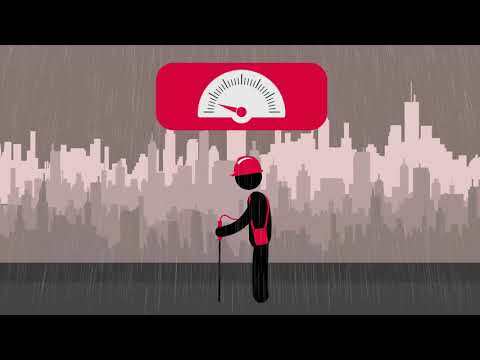 The website gave us the opportunity to create motion graphics. The client previously commissioned a live action explainer video for use online. One of the main advantages of switching to motion graphics is the higher production value that can be achieved from a relatively small budget. The new brand re-positioning that was implemented included an illustrated figure aesthetic that mirrors the circular nature of the logo, making a graphic route more appropriate. This simplistic illustration style was balanced with realistic walking cycles and physics to create an engaging video for surveying roofs. Upon completion of the website, the client required a full suite of marketing material including flyers and pull up banners. It was important to retain the same look and feel across all media platforms to retain a strong brand identity. Complimentary sub-brands were created for his services and training centre, which is currently in development.